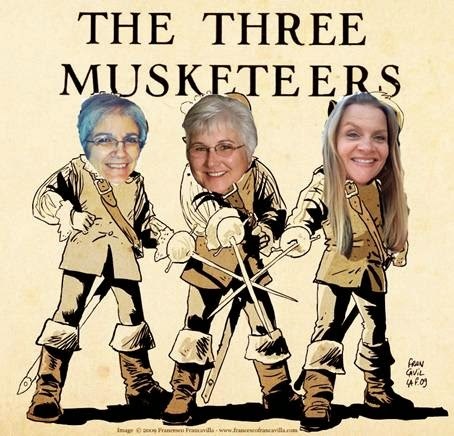 I joined a special swap hosted by Melina. 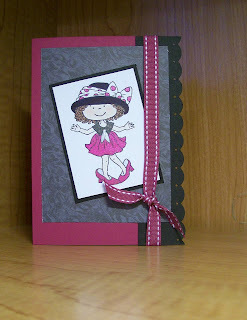 In the Everybody's Colors Card Swap, each participant selected the color combination she wanted to receive, and her fellow swappers each created a card for her using her chosen colors. It was great fun! These are the cards I created for my fellow swappers. My recipe had to feature the letter "G" so I chose a recipe that was handed down to me from my grandmother, who died long before I was born. My family lovingly calls the dish "Garbage". I love the story behind this recipe as much as the recipe itself. My dad’s mom died when he was just a teenager. She was a fantastic cook and he fondly remembered many of the wonderful things that she made, although she left few, if any, written recipes for her dishes. When my parents met and married a number of years later, my dad told his new bride of some of the things his mother had cooked. 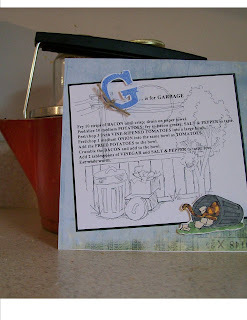 One of her personal creations was Slumgollion, which is the recipe seen in this layout. He described it to my mom, who thought surely his memory had failed him. This could not really be what his mother had cooked. But being a loving new bride, she tried it anyway, preparing the dish my father remembered. Surprisingly, it was delicious and has become a family favorite! Years later, when I was a teenager, we started calling the dish Garbage. After all, it is not very appealing to the eye. We can hardly wait until the tomatoes in the garden have ripened so we can enjoy this special treat. It's a PIRATE... and isn't he cute? The image is Little Johnny Depp of the Stamping Bella stamp company. It looks like he's found himself a lot of treasures - jewels and an aged coin. 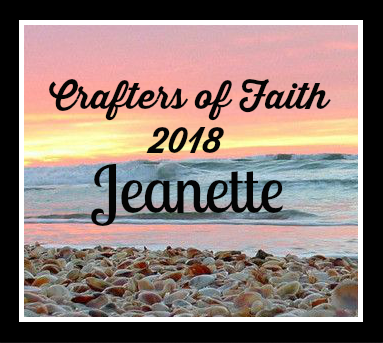 When I first started stamping, I tended to stick with one or two stamp companies. 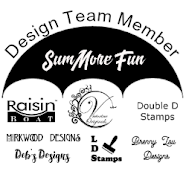 Now that I've been stamping for a while, I'm finding there is a WHOLE world of stamping companies and oh-so-many cute cute CUTE images to play with! 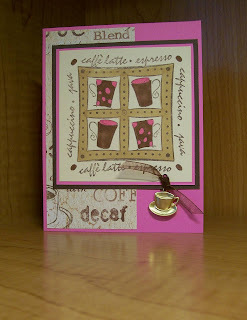 The two cards featured in today's blog entry were created with My Favorite Things stamps. I love MFT stamps! 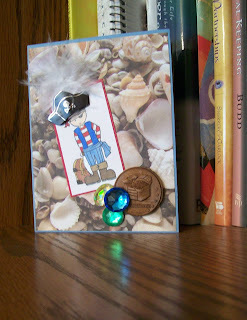 They are acrylic, so they are easy to use and they have such a wide variety of fun images. 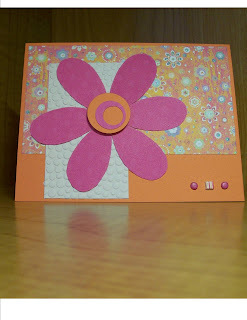 I actually created these two cards for an MFT Card Swap for Charity hosted by Scrappy on Splitcoast Stampers. 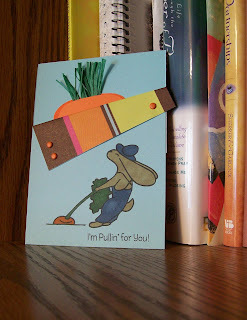 This card has a cute little Flopsey pulling and pulling, trying to get the carrot out of the ground. 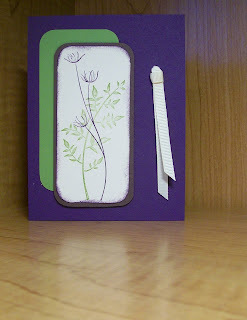 Inside the pocket card is a carrot-shaped insert with the sentiment "Good Friends are Worth the Effort." 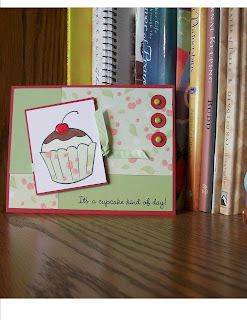 This card features a cute cupcake image. I used a paper-piecing technique to use the designer paper as the cupcake holder. This card also smells yummy, thanks to Cupcake Card Scents. 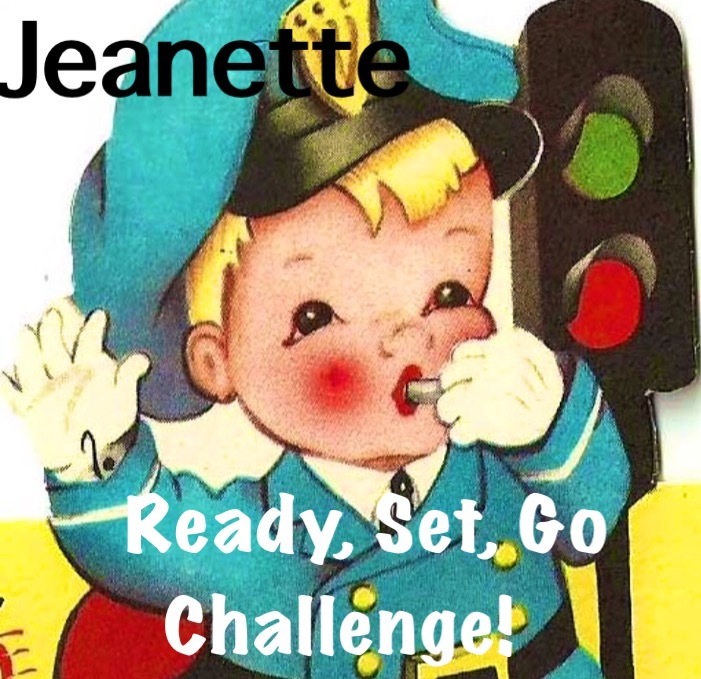 If you haven't already done so, you should check out My Favorite Things stamps.